In 1920s Jerusalem, eleven-year-old Prudence watches her architect father launch an ambitious (and crazy) plan to redesign the Holy City by importing English parks to the desert. He employs a British pilot, William Harrington, to take aerial photographs of the city, and soon Prue becomes uncomfortably aware of the attraction flaring between Harrington and Eleanora, the young English wife of a famous Jerusalem photographer. Palestine has been a surprisingly harmonious mix of British colonials, exiled Armenians, and Greek, Arab, and Jewish officials rubbing elbows, but there are simmers of trouble ahead. When Harrington learns that Eleanora's husband is part of an underground group intent on removing the British, a dangerous game begins. Years later, in 1937, Prue is an artist living a reclusive life by the sea when Harrington pays her a surprise visit. What he reveals unravels her world, and she must follow the threads that lead her back to secrets long-ago buried in Jerusalem. 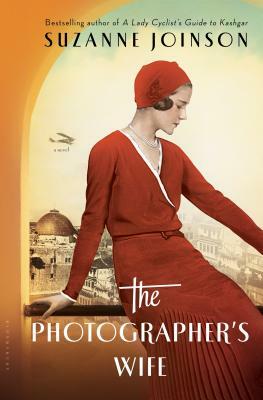 The Photographer's Wife is a powerful story of betrayal: between father and daughter, between husband and wife, and between nations and people, set in the complex period between the two world wars. Suzanne Joinson works in the literature department of the British Council, and regularly travels widely across the Middle East, North Africa, China and Europe. In 2007 she won the New Writing Ventures Award for Creative Non-Fiction for 'Laila Ahmed'. She is studying for a PhD in Creative Writing at Goldsmiths, University of London, and lives by the sea on the South Coast of England.